Before the concert, Jero granted an interview to Harlem2Nippon. When asked, the Pittsburgh native told us that he prefers to talk in Nihongo. Jerome White Jr. a.k.a. 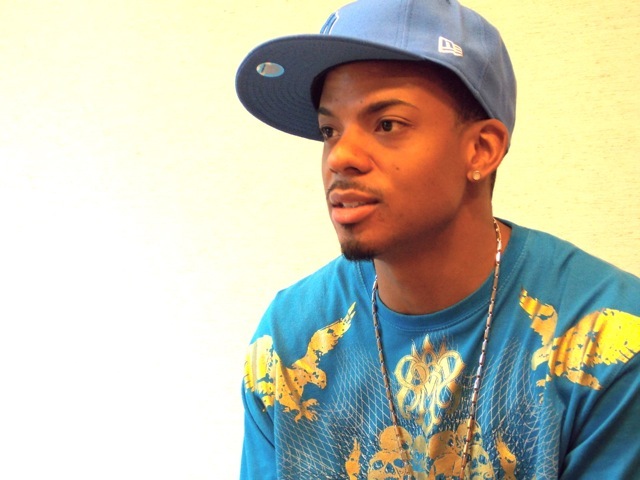 Jero is a handsome, polite, young African-American dresses in hip-hop outfits and sings in fluent Japanese. 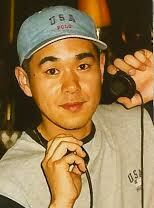 This is the story of how he became a nationally recognized Japanese celebrity beyond the world of music. H2N: You were born in Pittsburgh, Pennsylvania, the home of the famous African-American playwright August Wilson. Are you familiar with him? Jero: Yes. I learned about him in school. H2N: Your Japanese grandmother met your grandfather, an African-American U.S. Army soldier in Japan at the end of World War II. Then they married, had adaughter, Harumi who is your mother and eventually moved to your grandfather’s hometown, Pittsburgh. Were you aware of your Japanese heritage growing up? Jero: Yes. I am proud of my Japanese heritage, even though it was only a quarter of who I am – it’s still apart of who I am, so I was always embraced it. As a boy, I used to go to my grandmother’s house to watch videotaped Enka performances from her native country and practice singing along. I learned her favorite song called “Echigo Jishi no Uta” by Enka legend, Misora Hibari and sang for her. She was so pleased. H2N: Were you exposed to different kinds of music other than just Enka? Jero: Of course, growing up in Pittsburgh, I also listened to a lot of R&B and hip-hop. One of my favorite artists is Luther Vandross. H2N: When was the first time you realized that you could sing? Jero: I never thought I could sing. I just want to become an Enka singer someday. H2N: You were also into dancing? Jero: Yes. I was active in the Black Dance Workshop and led my own choreography group in college. H2N: In 2008 your debut single, “Umiyuki(Ocean Snow),” entered at No. 4 on the Oricon national pop chart in a week – the best performance ever for a debut Enka song. Music Critics say you have single-handedly reignited Japan’s interest in this traditional post-war music style. Did you feel like, “Yes, I’m gonna conquer the Enka world”? Jero: No, not at all. I was singing in Karaoke contests until being contacted by Victor Entertainment. They were interested in me as a potential recording artist but also felt I needed continued vocal training. H2N: Enka lyrics are deeply sentimental, often focusing on hardship, lost love and resilience and your amazing command of the language made it possible to express its emotion the way it is. What did you do to achieve this? Jero: Thank you. I tried to listen to as many traditional Enka songs as possible. I dissected each song and tried to sing the way the original was sung. I always think of this music as the Japanese version of the blues. I could hear the way the music sounded so sad and emotional. You can see many Enka singers are so completely into their music. They are crying while singing onstage. That’s why I love Enka so much. H2N: As an African-American, do you feel like you’re some kind of ambassador of U.S. culture in Japan, or do you feel these days like you’re bringing more Japanese culture back home through these international tours? Jero: I definitely feel more of an ambassador of Japanese music to the U.S. I am constantly telling people what Enka is and how I came about singing it to friends and family. The funny thing is that I don’t get tired of it. H2N: Our website, Harlem2Nippon tries to unite Japan (Nippon) and Harlem through extensive coverage of African-American music, art, dance, entertainment, culture and lifestyle. Your success in Japan is inspiring especially for young people in urban communities. How do you think you can help them? Jero: I just would like them to know that I exist. Of course I want everybody to listen to my music but I am just letting them know what I did. My accomplishments as an Enka singer in Japan is enough. H2N: You are a pioneer. You are the first American Enka singer who has become the first major performer to come from outside of Japan and achieve stardom. H2N: What other projects do you have in the works? Jero: I put out a series of cover albums every year. Currently I’m working on “Jidai Geki Covers” which are scheduled to be released on July 4th. Last year, I had a live house tour at smaller venues featuring an all-genre theme. R&B, J-pop, jazz and Enka. Because of a lot of positive feedback, I will be doing another tour with the same theme. It gives my current fans and hopefully new ones an opportunity to hear me sing in English and other genres. I am also participating in the musical Tick, Tick…Boom! The musical was written by the creator of “Rent,”Jonathan Larson. The musical will feature two other Japanese cast members, starting in September. 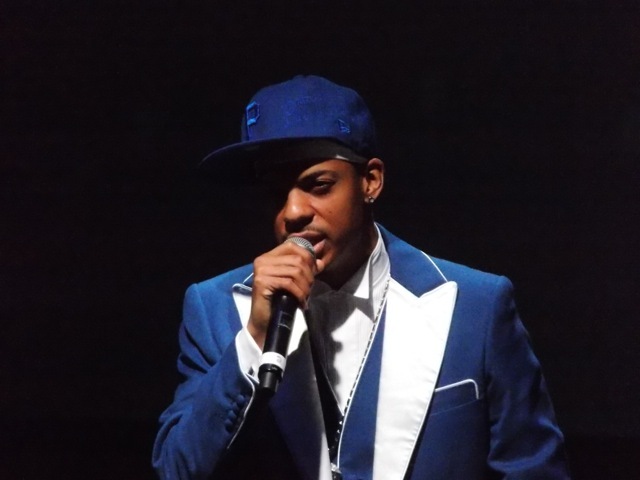 This entry was posted in Event, Music, Uncategorized and tagged celebrities, Concert, Enka, entertainment, Harlem, Japan Society, Jero, music, New York, New York Debut. Bookmark the permalink.